When we opened our doors to the Tampa community more than 115 years ago, our vision was simple: to line our shelves, deli cases and produce bins with the finest selection of locally sourced fruits and vegetables, authentic Italian specialties, meats, cheeses and more. Now in our third generation of ownership, our steady stream of longtime regular customers are a tribute to the fact that not much has changed. We are proud to be one of just a few remaining authentic Italian specialty markets in the Tampa Bay area. And because we believe in healthy, happy homes and well-fed families, we make every effort to keep our prices affordable, just like the old days. 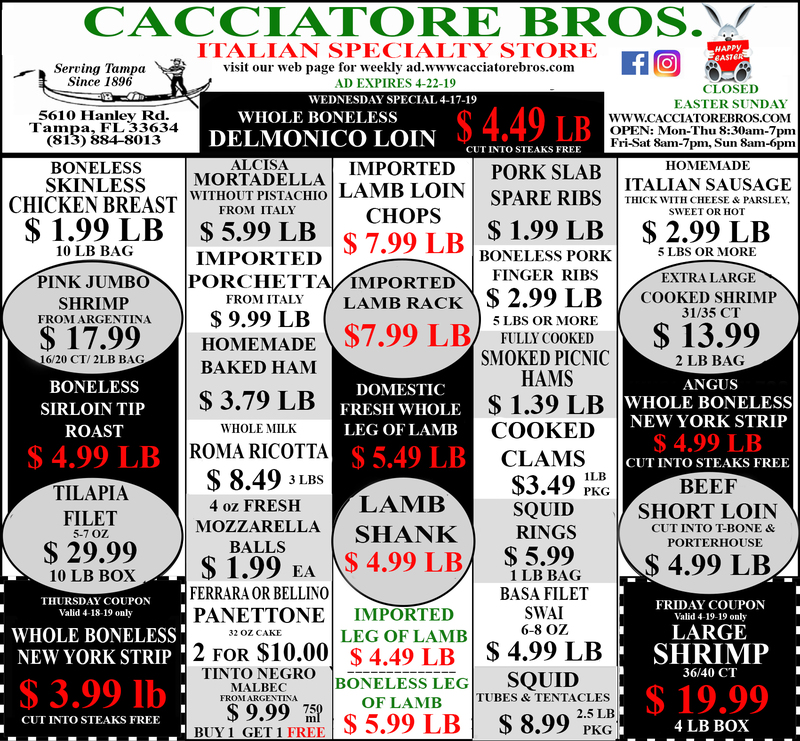 WE SPECIALIZE IN ITALIAN MEATS, CHEESES AND OTHER SPECIALTY ITEMS. We pride ourselves on carrying hard-to-find Italian ingredients like Parma ham, Locatelli pecorino, authentic homemade Italian sausage and more. 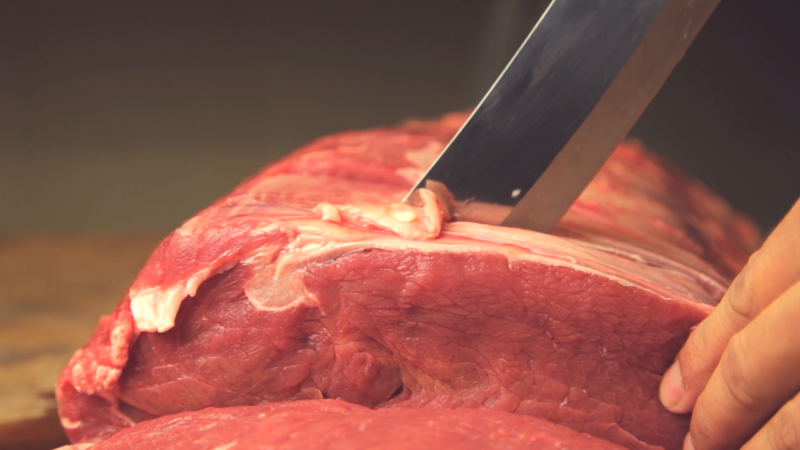 Our full-service neighborhood meat market has built a longstanding tradition of providing only the highest quality meat. From New York Strip, bacon-wrapped filets, poultry and seafood to our family’s original homemade Italian sausage, our meat section boasts one of the largest, finest hand-cut selections in the Bay area at competitive prices. Generations of Italian cooks and foodies know: we offer one of the biggest selections of cheese in the area. Choose from more than 60 varieties of imported and domestic cheese, including parmesan reggiano, Locatelli pecorino and Auricchio provolone. Whether you’re cooking an Italian feast or hosting an intimate wine and cheese party, you’ll find everything you need here. High-quality Italian ingredients aren’t always easy to find. Unless of course, you know where to look. We pride ourselves on helping local families find unique Italian finds. We offer more than 60 different cuts of imported pastas, cannoli shells, olives, panforte, Bazzini nuts, a variety of gourmet olive oils and other Italian specialties that can be difficult to find. We take our wine as seriously as we take our pasta. And while our food selection is inspired by Italian tradition, our carefully curated selection of global wines is designed with eclectic taste in mind. Our storied selection of wines from around the world pair perfectly with whatever’s on tonight’s menu. Our full-service deli rivals the finest in Sicily. Stock your fridge with classic deli selections and Italian specialties like mortadella, capocollo, Serrano ham, parma ham, prosciutto and a variety of sliced cheeses at affordable prices. Pile your meats and cheeses high on one of our famous Italian breads for a true taste of Italy. Sometimes even the best chefs need a night off. Grab a made-to-order sandwich such as our award-winning Cuban or stop in for a pre-made lasagna dinner complete with ready-to-eat side dishes like antipasto salads. It’s fine Italian dining—without the fine dining prices. Italians have used spices since the Roman times, and since we’re not ones to break with tradition, we pack and jar our own selections of more than 50 spices. They’re a key element of any great recipe, and any Italian cook will tell you that if you try cooking without the right spices, you may as well not cook at all. Tradition you can taste. Prices you can afford. A world of Italian Delicacies awaits.